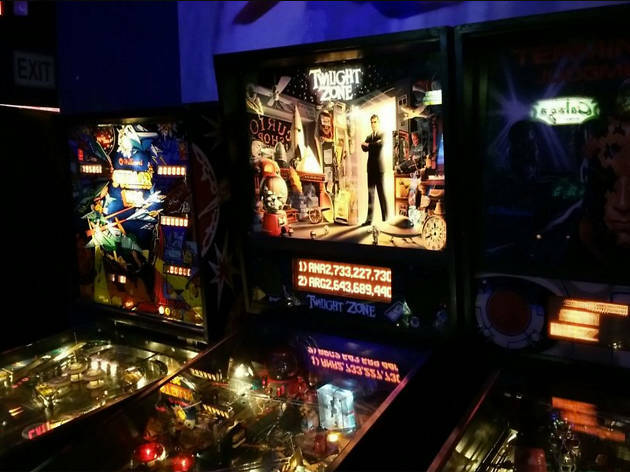 This K-Town dive is LA’s arcade bar OG. From the outside, it’s nondescript, but inside, it’s a darkly lit hybrid of childhood amusements and adult inebriation. Oversized carnival animals and vintage toys peek out from every nook and cranny like an 8-year-old’s nightmare, but that’s part of this place’s charm. 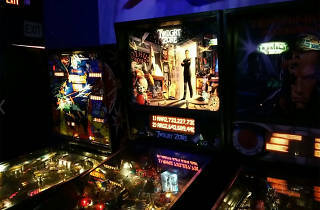 The selection of games is ample, but don’t expect them to be in tip-top shape—in a bar where drinks are this cheap and stiff, there’s bound to be a few sticky buttons. Ms. Pacman, Paperboy and Gun Fight are popular when Blipsy gets packed, with the latter apparently a go-to icebreaker for folks on first dates. If games aren’t your thing, there’s always dancing—every night after 10pm, Blipsy hosts live DJs playing everything from 70s rock and metal to hip hop and Caribbean dancehall. Just remember to bring cash and quarters.